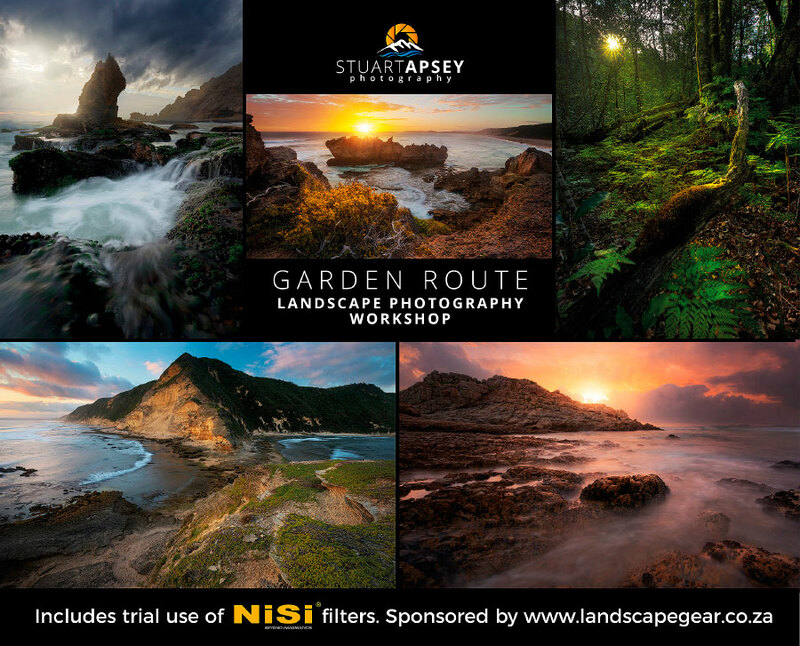 Join me for 3 & 1/2 days along the Garden Route to learn and shoot some great locations from seascapes to forests. or a seasoned photographer that just wants join for the experience of shooting the Garden Route and have a good time. 10% deposit needed to secure a spot. local transport with pick up to and from George airport, breakfast & dinner. To get full use of this workshop you need an SLR camera, a tripod and a laptop with editing software. and possible Sparrebocshe beach depending on how adventurous the group is. • Coverage on additional image quality techniques like reducing flare and focus stacking. Visit my facebook page facebook.com/stuartapseyphotography for more up-to-date information. You may contact me info@stuartapseyphotography.com and I will get back to you as soon as I am able to.